We all know how popular YouTube's music vids and playlists have become, and there is barely something you won't find there, so the option to stream that vast music and video library sans ads from your handset without destroying your monthly mobile data allotment might be a a disruption in the making. This is why we asked you yesterday whether you've signed up for the full-featured YouTube Music app with a YouTube Red subscription, or if you intend to do so in the future. Well, 70% of our respondents are categorical that they won't be signing up for YouTube's vision of media subscription, yet 30% either have already, or are mulling it, which is not that bad of a result for the fledgling Red service. If you want YouTube to stream just the sound, and while your screen is locked, not eating on your data and battery allotments, you'd have to download FireTube the new YouTube Music app, and have a YouTube Red subscription. This baby will cost you $9.99 a month, or, alternatively, you can get the family Play Music plan that also includes Red, for $14.99 a month, and include up to six people there. Basically, you can get ad-free YouTube vids plus the service's nascent original programming, as well as access to the 35+ million songs in the Play Music catalog, all for less than three bucks a person if you sign up for the family plan. That's not all there is to it, though, as with the paid subscription the YouTube Music app becomes a veritable music service that can stream only the audio of YouTube videos, and keep on blasting while your phone screen is locked, too, to the chagrin of Spotify, Apple Music, and the like. 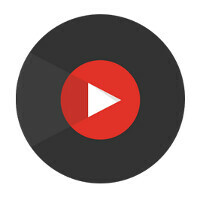 Have you gotten a YouTube Red subscription for your YouTube Music app? Purify will do the job, just fine, but you have to consider the users that deliver the content - ads are essential for them getting paid - once in a while disable Adblock or whitelist YouTube for a week - you owe the users that - if you enjoyed their clip. I'm sorry but I wont pay for something that I can get for free. Several apps already provide everything this offers and MORE. So why would I even pay $1 a month, let alone $10 or $15?